Contemporary star stud earrings white gold. 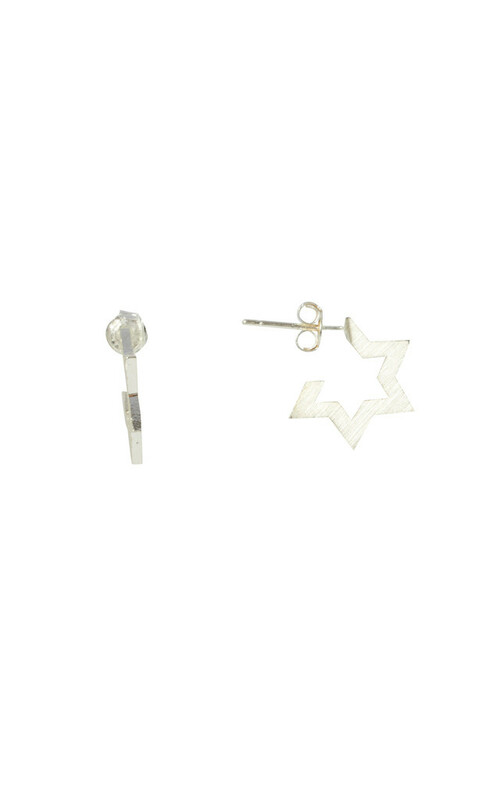 A simple star stud earring with an etched effect side. Travels under the ear so the end of the star is tacked behind the lobe. Very unusual, these give a better side view and more of an outline view from the front. 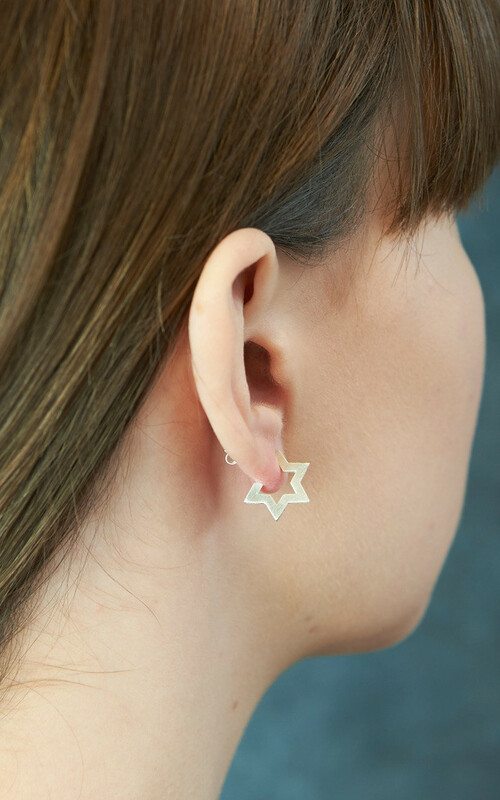 Perfect for those who love all things celestial. Ensure jewellery is removed before showering,swimming,exercising and applying perfumes and/or lotions. Star is approx 14mm long and 1.33mm deep (as seen from the front).